I am, basically, the world's laziest person. This means I don't really like doing any work once, let alone twice. For this reason, I've become a computer backup/security fanatic. 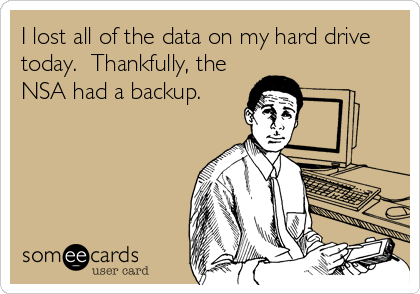 In keeping your data safe, there are two primary strategies: Backup and Security. Backing up is a game of increasing numbers of copies, while security is the opposite strategy of restricting numbers that have access. A balance needs to be struck between these two strategies. The first step is to try to gauge your place in the scheme of things. If all you do is watch YouTube and play video games, then your only risk is theft of your cyber identity. Hardly earthshaking and easily replaced. But, if you make a lot of online purchases, do your banking online, have hundreds of hours invested in media projects, or archive important information then you need a decent backup and security regime. My computers contain about 1Tb of data, including hundreds of hours of home video files (since 1988! ), thousands of pictures, all of my financial and tax information, my wife's immigration papers, three full novels and dozens of other writing projects at stake. As well, I am responsible for all of the IT at my day-job and have that company's files all secured. Securing data is a surprisingly complex balancing act in which you must weigh the risks associated with your unique situation in order to determine the most reasonable and effective strategy. If you are guarding state secrets then you are more of a target and need to adopt completely different backup and security options than the average taxpayer who is hiding only his Candy Crush Saga high scores, and the fact that he plays Candy Crush Saga. The number one best way to secure your data is with a very strong user login password. 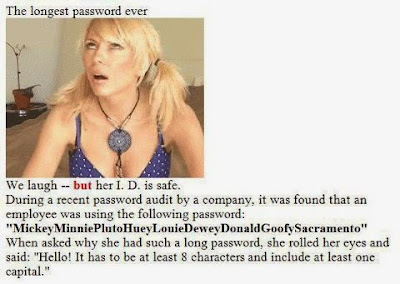 Easy passwords allow easy access. It is no longer difficult for an experienced computer person to hack a simple password. 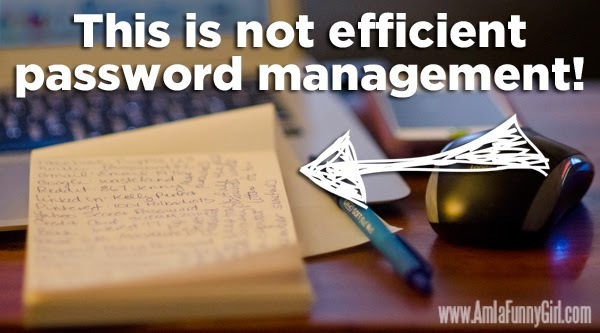 A great password can not guarantee that people won't hack a drive, but it presents such a large problem for the hacker that they would have to be extremely motivated. The CIA might be able to get in, but the average thief would just erase your drive. You will have lost that entire copy of your work, but at least you will not lose your entire identity. A good password is a minimum of 8 characters long and includes each of the following: capital letters, lower case letters, numbers and symbols. Do not use words found in a dictionary. Beyond this, each drive should be encrypted using a very strong password. 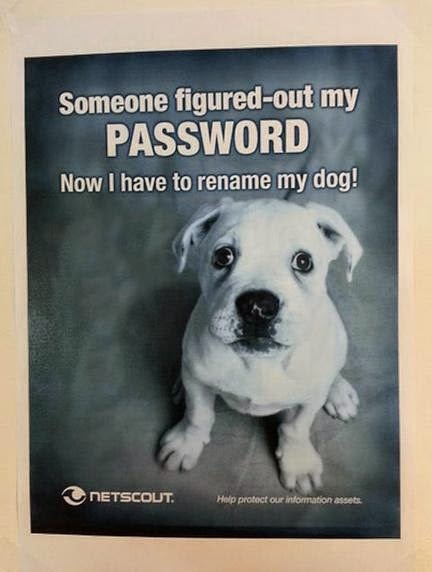 The same rules apply in making up this password as with your user login password. • If the drive contains only data, then a thief will encounter the encryption password as soon as he plugs it in to his computer, powers it up and attempts to access it. • If the drive contains a bootable backup of the entire operating system, applications and data (like those made with Carbon Copy Cloner) and the drive is stolen and plugged into a compatible computer, it will boot as normal and bring the thief to your login screen where he will have to figure out your login password to gain access. Once inside a user account, the data becomes decrypted and available. 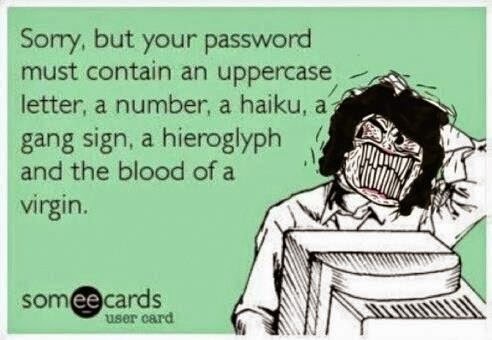 So both passwords must be strong. Your data is only as protected as the weakest of the two passwords. Oh yeah, and don't write your top secret, highly complex password on a piece of paper you keep next to the computer. I want to mention here some valuable and vulnerable data that people easily seem to forget about: website passwords. These are the ones you enter in Internet Explorer, Chrome, Safari or Firefox to access websites that you surf. These passwords are important data and a good reason to make sure that access to your computer is secure. If someone gets into your computer and can run your internet browser, they may be able to find your passwords or at least gain access to websites that you visit regularly. If these include banking institutions or government websites, such access could lead to big trouble. These passwords are data that your login and encryption passwords are meant to protect. I use Carbon Copy Cloner to make the backups because it duplicates the entire drive, including the operating system, which means that if the main drive fails I can immediately switch to one of my two Carbon Copied Clones and continue working with minimal loss of time or data. It takes about one minute to switch over and I have the full functionality of all the applications and data I had at the time the backup was created. 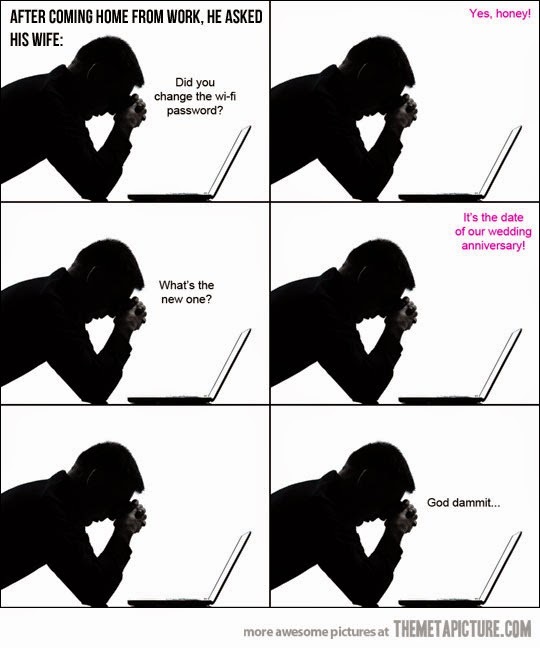 Backing up your blog is another matter. You have probably edited it online using a service like Blogger, WordPress or Tumblr and so, have no copies on any of your hard drives. Most of these services provide a free backup option which allows you to download a copy of your blog to your computer. However, this copy is formatted specifically for their service. The idea is that if you ever accidentally delete your blog, you can quickly re-upload it to that same service, using this copy. But, if you ever just wanted to extract the text for use elsewhere, it would be an arduous task. The solution I prefer is to use a blog-to-book service like Blog2Print or Blurb. I use Blog2Print, which for about $7 allows me to download a copy in PDF format. It does a decent job of translating the text and graphics into book form and the PDF file format allows you easy access to the text. Example page from the Print2Blog.com download of my Blog. Something to consider is that every physical copy of your data represents a risk that it will fall into the wrong hands. 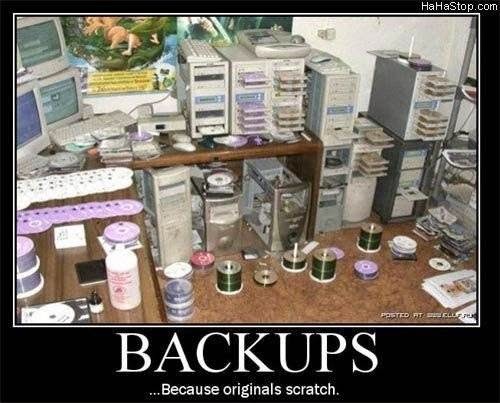 So if you have too many backups, your risk of theft or accidental loss goes up. Another factor is the location of the backups. If they are all at one physical location then they are all at risk of theft, fire or water damage, should there be an incident at that location. 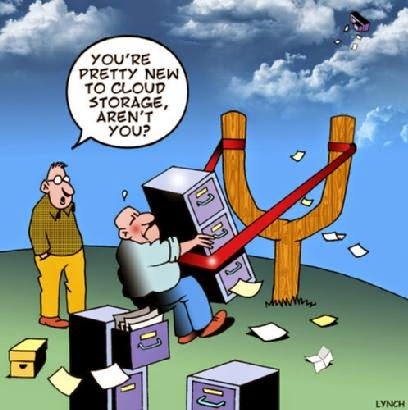 A great location for data storage is "the cloud." 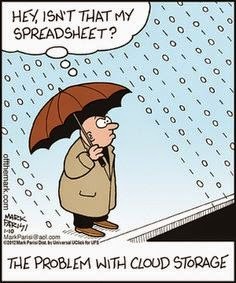 There are many good services out there, but I use Dropbox.com to store all important data, in the cloud. This is my main off-site backup. As well, Dropbox syncs my home and work computer data files. So in all, each computer has 2 recent hard drive backups of the entire system and a third backup of just the data files in the cloud, at Dropbox.com. Beyond this, there are other copies on computers that are synced through Dropbox. As I administer those computers, they are also highly secured by strong passwords and encryption. As well, some people are bothered by the idea that Dropbox.com might get hacked, or that the company itself might willingly turn your data over to a third party. These are valid fears and the only way I know to address them is to ask yourself how much trouble your tiny dot of data is worth amid the trillions of bytes of other people's data. There is some security in anonymity, but if you're famous or your net worth is in the tens of millions, then you might want to rethink this option. If you're famous or your net worth is in the tens of millions and you are acting solely on the advice of some writer sitting in his attic writing a blog about computer security, you might want to rethink that, as well. Here's a modern problem created by reams of cheap storage space; and it's a problem that very few seem to appreciate; data corruption due to lack of verification. Some of the files that I have been so careful to preserve have been with me since 1985. With so many files on board, and having been moved from one system to the next over the span of 30-plus years, there is a significant risk that one of the files I have not accessed in many years might have become corrupted during a backup or file transfer. With 1Tb of data, I know of no convenient way for the average person to guard against this, except with printed copies. As well, there must, no doubt, be at least one file among the hundreds of thousands which is no longer decipherable because it was created on a program that no longer exists. 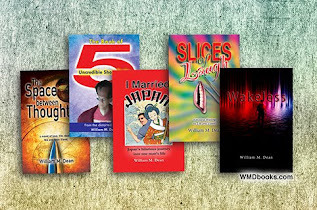 My first novel, for instance, was created on one of the very first consumer word processing programs (Paperclip) on a Commodore 64 computer. 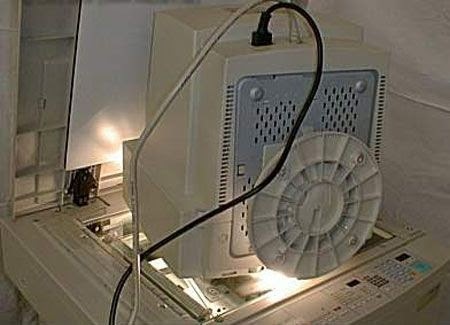 That document is still in tact, however the computer and the program that can read it are long gone. 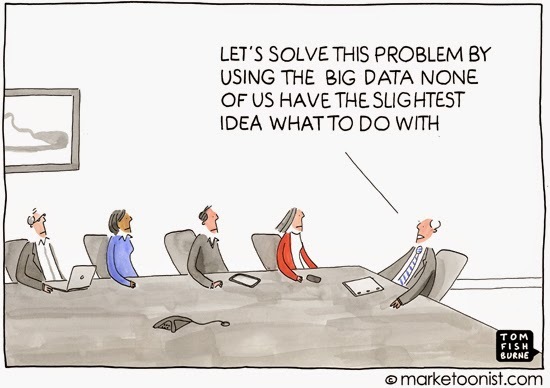 For most of us, the only way around this is to be diligent about transfering the data from program to program as software advances, or to save a printed copy. Fortunately, for me, I was young back then and that novel was crap. Here's a classic case of laziness in one area driving obsessive-productivity in another: Not only do I take pains to preserve my long-term data, but I have protocols to protect data as I write even such fleeting things as a reply to a Facebook friend. This reflects how much of a genius I believe that I am while I write. This is motivation through denial and I am highly dependent upon it. The truth only reveals itself to me much later; often after a wittier comment from a Facebook friend who is not a writer and has no business writing like one. Most of my writing is done on Blogger and Microsoft Word. Both programs auto-save about every 5 minutes, but I habitually save more often, whenever I think I've done more work than I want to repeat, which is probably once a minute. Beyond this, I highlight and copy all of my Blogs into a simple text document which I store on my computer, just in case Google goes out of business before the world recognizes the extent of my creative genius and transcribes my words to paper, translated it into 37 languages, made available in every library in the world, except, perhaps the one in North Korea. I wouldn't really want my work sitting next to that other book, anyway. And, when I contribute to a discussion online, I habitually highlight and copy (CNTRL+C) my answer about every 5 minutes, just in case. I really honed this habit when I started using Apple's "Magic Mouse." Every once in a while, my thumb brushes the edge and I am suddenly transported away from the page I was working on and then—magically!—I've lost my comment. As I said, I hate doing anything twice. Considering who I am and what's at stake, this is all probably overkill. But, on the other hand, I have never once lost a file and I've been at the computer game since the early 80's. This was great. Thanks for your comments on my question and for sharing this blog. Thank y for this post, it's very important to keep your data in safe place.